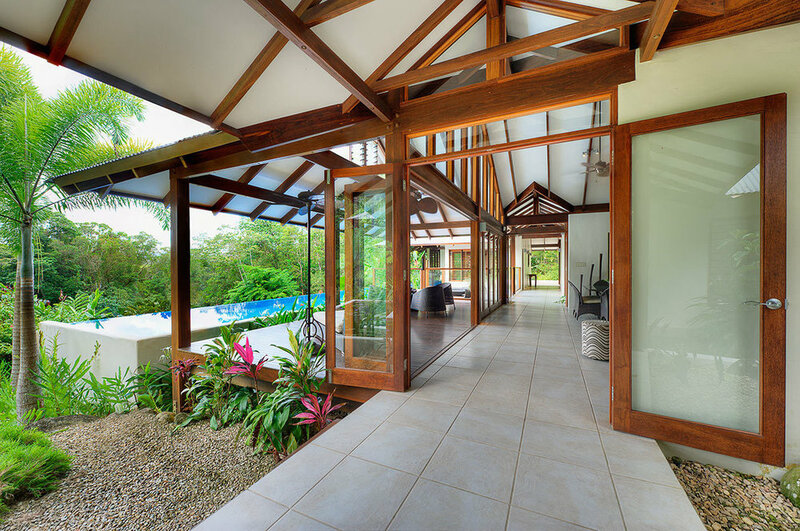 Designed as a series of three pavilions, connected by open breezeways & verandas branching off a central axis. The separation of building elements forms the dual purpose of ventilation and shading and separation of uses. The pavilions are open plan with an indoor / outdoor feel, often without walls and form a connection with the external environment. The buildings are all naturally ventilated with louvered gable ends, open rafters in the bathrooms & adjustable louvres & bi-fold doors. 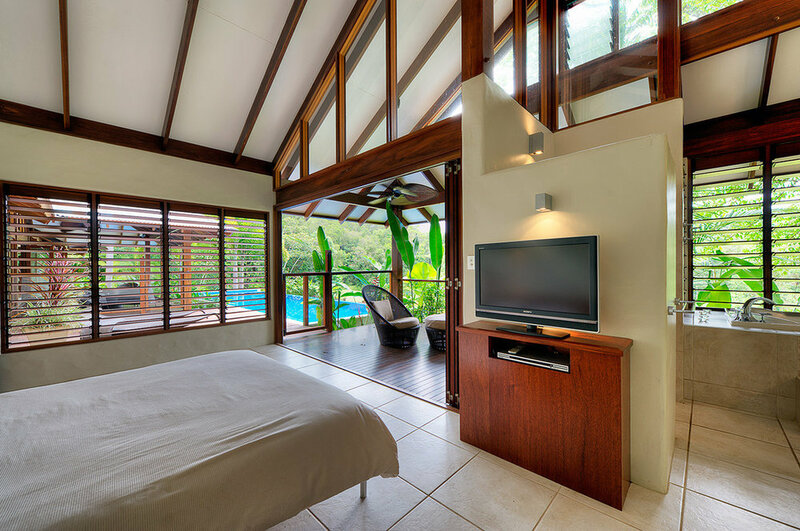 The passive solar design & ventilation system eliminates the need for air conditioning being cool & comfortable all year round.